N1669 River Avenue Neillsville, WI. | MLS# 1527094 | Clearview Realty in Hatfield Wisconsin. Helping Hunters, Families, and ATV'ers list or buy property for 15 years. Serving both Wisconsin & Minnesota. 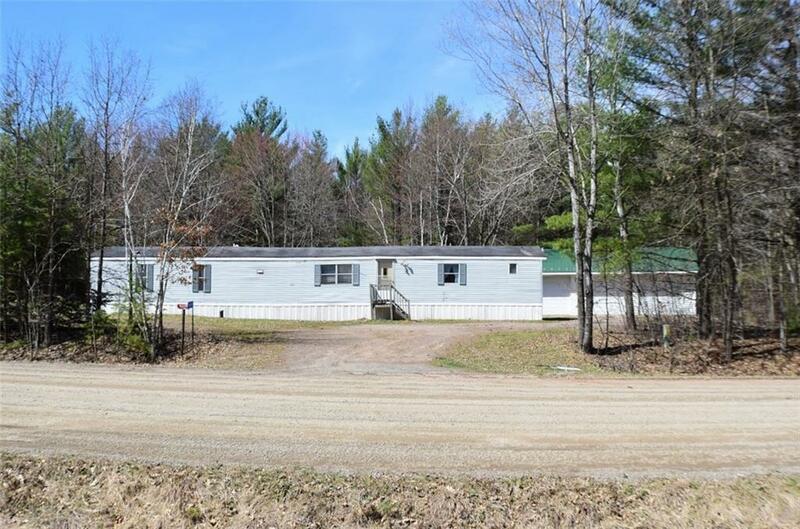 Ten wooded acres, On the ATV trail, not far from Neillsville! Property has a Newer Insulated 3 car Garage with a metal roof and a hook up for your Welder. There's a Drilled Well, Mound septic system and a 1992 3 Bedroom, 2 Bath, 16 X 80 Liberty trailer home for you to stay in while you build your dream home or if you're handy, fix it up!